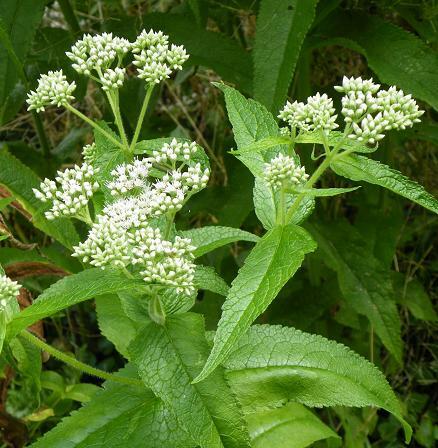 This plant was grown from seed but Boneset is a wild native plant that likes shade and moist growing conditions. This photo was taken in early August of 2010, the warmest and wettest summer on record. This location is in the midst of eastern Wisconsin wetlands. Boneset has been found growing in the woods about 800 feet from this patch. In the woodland setting it was as tall as 5 feet, like the Boneset plants growing in this patch. This patch of Boneset was started from seed in early 2009 and transplanted out to this patch later that year. The seeds are from Horizon Herbs in Oregon.